Israel has apparently begun working to press Europe and the United States to try to save the embattled regime of Hosni Mubarak. Ha’aretz reports that Netanyahu asked other countries to tone down criticism of Mubarak. However, while the headline says this came from Netanyahu, the article only mentions the foreign ministry, and, as we have seen many times, Foreign Minister Avigdor Lieberman writes his own foreign policy and sometimes acts without necessarily coordinating with the Prime Minister’s office. In either case, Israel is once again showing itself to be horribly out of touch with the realities of the world they live in. There is only one, very slim, possibility for Mubarak’s survival and that is massive violence. This would probably fail as well, and if it succeeded, it probably would not succeed for long. And in the aftermath, Israel, the US and Europe would be facing a much angrier country that would be far less concerned about maintaining good relations outside the Arab world. In any case, it doesn’t seem that anyone in Europe, nor the Obama administration, is interested in interfering with Egypt directly, though one suspects they’d all prefer to see Mubarak remain long enough to pass the mantle off to someone who would maintain Egypt’s current stances in foreign policy. The fact that they all were happy to work with Mubarak for thirty years despite his awful human rights record and refusal to democratize the country indicates that these are not the concerns of the foreigners. An Egyptian government led by Mohammed ElBaradei is probably the best case scenario for US concerns in the region, but it would still be a big shift away from Mubarak. 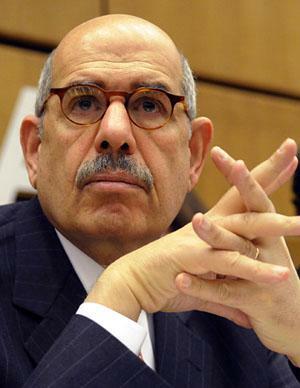 ElBaradei is a seasoned veteran of the international arena, having once headed the International Atomic Energy Agency, spent many years in the Egyptian foreign ministry and worked in the UN. He also was a professor at Yale for a number of years, so he knows the United States very well. He is about as moderate a leader as one could ever imagine coming out of this turmoil, in both the real sense of that word as well as the American meaning, which is that he will cooperate with our program. But that latter sense will only go so far, as ElBaradei will have to work within a very new Egyptian framework where the Muslim Brotherhood will be a very influential force and where the Egyptian populace’s views will be much more of a concern. That will mean a general encouragement of getting along with the US, but not when it conflicts with the popular sentiment in Egypt. This means, among other things, an end to helping Israel sustain its blockade of Gaza and an end in general to cooperating with the occupation. But I doubt that will necessarily lead to open hostility to Israel, unless the Israeli and American response to the new Egypt is particularly provocative or insulting…. Egyptian President Hosni Mubarak’s end is now inevitable, and his appointment of Omar Suleiman as Egypt’s “first vice president” shows his desperate flailing and lack of realistic options. Suleiman is very close to Mubarak and has always supported his policies, domestically and internationally. He has been heading Egypt’s intelligence services for almost two decades. But he has also been Mubarak’s most prominent emissary in dealing with the Israelis and in strategic discussions with the United States. One can only interpret this as an attempt to pander to the US, in the hope that they can and will do something to rescue Mubarak, or at least try to sustain the current government’s policies with his successor. It won’t happen…. It is hard to imagine that a matter as explosive as The Palestine Papers (a massive leak of some 1,600 documents the Palestinian Authority had, including minutes, strategy papers, maps and e-mails) could be completely drowned out by other events, but the massive upheaval in Egypt has done just that. The implications for Israel and the United States of the widespread protests throughout the Arab world and the Papers are not yet fully predictable, but they are sure to be profound. 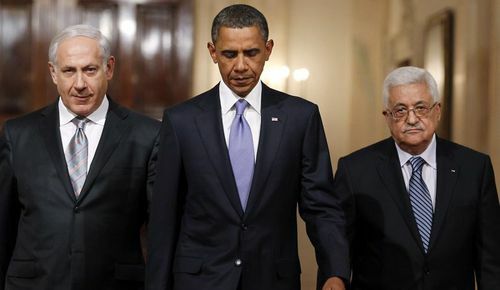 The Palestine Papers have exposed the “peace process” as a sham, with the Palestinian Authority offering concessions that would probably not have been acceptable to most Palestinians, Israel downplaying and even ignoring many of those same massive concessions and the United States doing nothing to bridge gaps and putting pressure only on the Palestinian side. But the spreading protests in the Arab world signify a major shift in the status quo on the horizon. The United States, which learned nothing from its experience of forcefully keeping a ruthless dictator in power in Iran, has done the same with petty and violent dictators throughout the Arab world. Interestingly, the protests in Tunisia and Egypt, and the simmering ones in Jordan and Yemen, have been completely focused on those countries’ respective dictators, and there has been relatively little anti-American rhetoric thus far; or at least very little has been reported. This may have a lot to do with American silence on both matters and our quick abandonment of our favored proxies once it became obvious they had lost control. Or it may be yet to come. In any case, the issues of the US and Israel, and even the Palestinians have been sidelined as Egyptians, like Tunisians before them, demonstrate for democracy to overthrow their tyrants. But these developments will have serious implications for the US and Israel nonetheless. Made in USA Tear Gas Used In Egypt–What About Israel? ABC News has reported on the use of US-made tear gas against protesters in Egypt. Great, it is important for Americans to know the use our aid to Egypt has been put to. But it’s worth asking where ABC was when Israel has injured unarmed civilians with similar tear gas cannisters. Worse, in the case of Israel people have been killed because Israeli soldiers or border patrolmen have fired the cannisters directly at protesters, which is a violation of both IDF rules of engagement and of the proper procedures specified by manufacturers for thee use of these cannisters. In April, 2009, Bassam Abu Rahmeh (whose sister, Jawaher recently died after inhaling tear gas at a protest) was killed under those circumstances. Another incident where American citizen Tristan Anderson was hit in the head and spent many months in a coma by a tear gas cannister was also scantily reported in the US and never investigated by any American agency. I’m not knocking ABC; covering the use of the gas in Egypt is important. But isn’t it also time that we ask how our money is being used in Israel too? I support Israeli security and the US helping in this regard. But we shouldn’t be allowing our help to be perverted into use for violations of human rights. Ask the Abu Rahmehs and Tristan Anderson if that’s happening. Does Everybody Know What Everybody Knows? I wrote yesterday about a particular instance where I felt the Guardian (UK) had distorted and enflamed the content of one of the increasingly notorious Palestine Papers. Today, fellow blogger Bernard Avishai takes it a step further. Avishai calls the Guardian’s coverage “outrageous” and openly wonders if “…the Guardian actually like(s) this conflict?” I think Bernie is somewhat overstating his case, but his essential point is valid. Avishai points out that “Any prospective agreement would be a compromise,” and he’s right. For the most part, the really explosive stuff in the Palestine Papers, at least in terms of the Palestinian Authority, is the stuff of pragmatism and compromise. Ceding Jewish areas in East Jerusalem? Perfectly consistent with the Clinton Parameters. Only a token return of refugees? This has long been understood to be at the very heart of the two-state solution, and precisely the reason so many Right of Return activists are also one-staters. Land swaps to minimize the number of settlers Israel would have to move? Again, this is a very familiar part of the discourse.